Keeneland’s Fall Meet gets underway Friday afternoon with many horses and jockeys aiming for the Breeders Cup World Championships in early November at Churchill Downs. New this fall is an up close look at what thoroughbred owners go through on race day. The bugle at the track usually signals the start of a race, but Friday at Keeneland, it sounded for another reason. The 2020 Breeders Cup Championships are coming back to Keeneland. The official announcement came Friday afternoon at the historic Lexington track. This fall’s meet at Keeneland marks the 80th birthday of the historic Lexington race track. The three weeks of horse racing include the introduction of a new gold trophy. Along with a gold-plated cup, tray, bowl and pitcher is the latest addition, a vase. It’s the next Milestone Trophy recognizing graded stakes wins at Keeneland. The Keeneland Race Track is offering a classroom experience for hundreds of Lexington area students. School children are being educated this week on the finer points of the historic facility, and Keeneland officials hope the youngsters become racing fans. Hundreds of excited fifth graders started their morning in the sales pavilion. When it came time for a mock horse auction, everyone got quiet. The Breeder’s Cup takes over Lexington beginning next weekend. It’s a huge event for the city but especially so for Keeneland, Lexington’s classic thoroughbred race track and host of this year’s Breeder’s Cup World Championships. In this week’s Focus on Business, Tom Martin talks with the man who is overseeing all the planning and preparations, Keeneland President and CEO Bill Thomason. 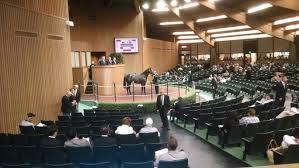 Keeneland’s Yearling Sale is regarded as the primary barometer of the state of the Thoroughbred Industry. The annual two week auction begins Monday. Big name trainers like Bob Baffert and Todd Pletcher will be eyeing yearlings. Keeneland’s Amy Gregory says the sale comes as a preview to October’s Breeders Cup. “You see a lot of horses that were sold at Keeneland during the September sales in particular, sold as yearlings, that are now gonna race in the Breeders Cup when it comes back to Keeneland this fall,” said Gregory. It's not likely to get much attention this week leading up to Derby, but there's a pending rule change that could someday transform the landscape of the horse racing industry. The new rule is not tied directly to training, purses, or gambling but it is a long debated issue. Certain sights and sounds at the track are well-known and expected. But what many outside of the industry probably do not know is that about four hours before post time, most horses are administered a commonly used drug called Lasix. A study just released by the University of Kentucky says Keeneland last year generated $590 million for Lexington and Fayette County. The economic boost goes beyond traditional racing days. 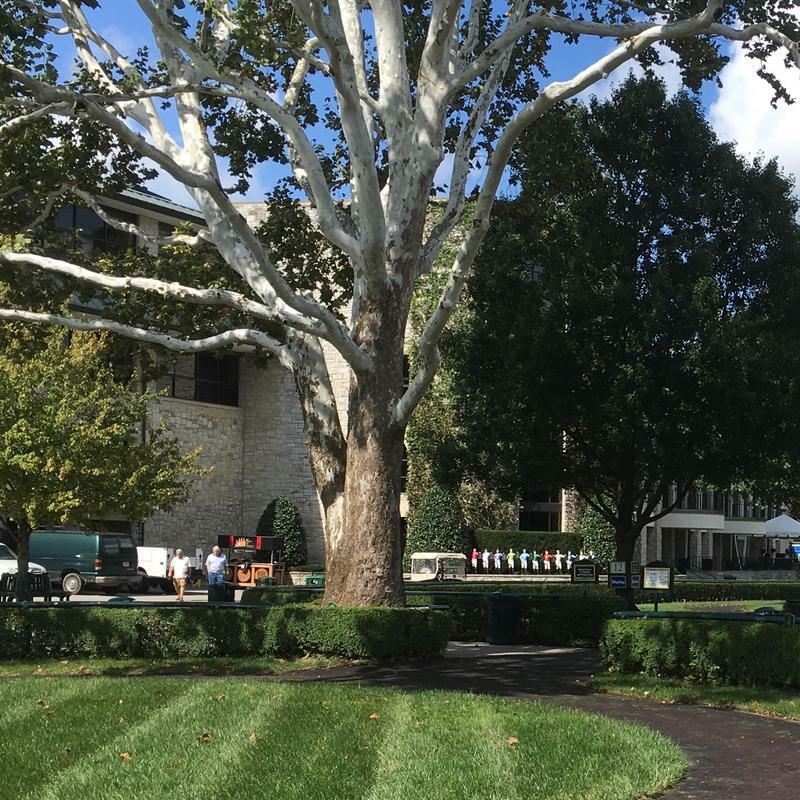 The new study, the first of its kind on Keeneland, focused on fall and spring racing meets, along with four international Thoroughbred sales. The economic impact study was conducted by the University of Kentucky's Center for Economic Research.